We Are Gender Reveal Celebration Specialists! Gender reveal celebrations remain popular as parents-to-be explore creative ways to learn and reveal the gender of their baby. 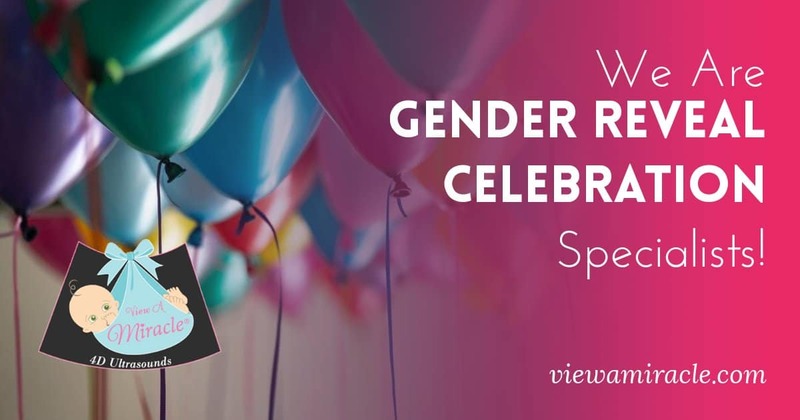 The friendly staff at View a Miracle are experts at gender reveal parties and have helped hundreds of clients plan the perfect way to deliver their big news. Sports items are among the most popular gender reveal products on the market today. We carry soccer balls, footballs, baseballs, golf balls, MMA bags, hockey pucks, basketballs, burnout for the tires, tennis balls and softballs, all of which explode with pink or blue powder. If you are having your gender reveal party off site, no worries. We can provide you with the gender reveal product of your choice to help you make your big announcement. Our registered sonographer can determine the gender of your baby as early as 12 weeks. Are you ready to plan a gender reveal celebration? If so, give us a call today! https://viewamiracle.com/wp-content/uploads/2018/11/Gender-Reveal-Celebration.jpg 630 1200 View A Miracle /wp-content/uploads/2019/01/VAM-header_compressed.jpg View A Miracle2018-11-14 21:45:052018-11-14 21:45:05We Are Gender Reveal Celebration Specialists! What Can I Actually See with HD Ultrasound? It’s Not Too Late to Purchase Holiday Gift Cards!